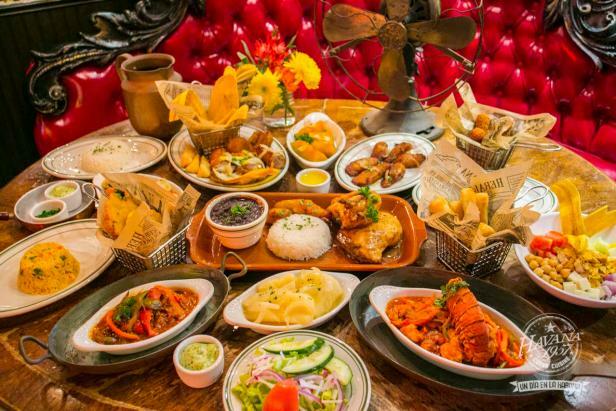 Sample the best Cuban food at these renowned restaurants in Miami. Cuban culture infuses Miami’s dining scene; in fact, more than 34% of the city’s population hails from the Caribbean island. This pervasive – and tasty – presence is a boon for foodies, and means there’s stiff competition among Cuban restaurants to dish out the city’s best island fare. These Cuban restaurants in Miami will whet your appetite, and leave you craving more delicioso meals. On Espanola Way lies Havana 1957, a Cuban restaurant that is unique to other dining experiences. This throwback restaurant offers its customers a traditional Cuban menu, with a gallery of old photographs hanging on the walls. This old-time decor will have you feeling like it’s the 50s and you’re back in Havana. Start with their truffle yucca fries and the masitas de Puerco, fried cubed pork served with grilled onions and Cuban mojo. Once you’re done obsessing over the faultlessly seasoned pork, order a classic Cubano, a ham, cheese and roasted pork sandwich, with pickles and mustard on the toasted Cuban bread. If you’re not in the mood for a sandwich, you can’t go wrong with the Fricase de Pollo, chicken pieces marinated in citrus juice, garlic cloves, onions and bell peppers, served with white rice and sweet plantains. Your taste buds will love you once you order the tres leches dessert, along with the guava cheesecake.